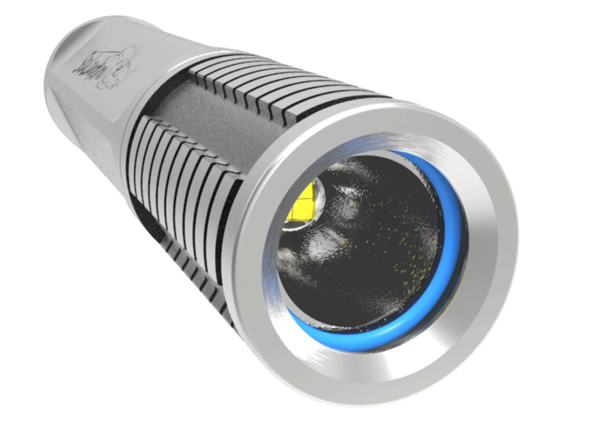 A stylish new adventure LED will light photos and videos in extreme conditions and as deep as 300m underwater. Sometimes we like to take our lights out, but have you ever taken yours out out? An Australian company called SeaLantern has launched a Kickstarter campaign for its new all-weather Flame Angel LED, a sports and diving photography/video light that is waterproof to 300 metres. According to its developers, the Flame Angel is “the world’s first completely solid state video and sports light” thanks to using what they call a “PPEC+” switch. The new switch is supposedly more robust against dust, sand, leaks and wear and tear, making it a better light for extreme conditions. The Flame Angel comes in “sport”, with a narrow beam suitable as a bicycle front light, or in “video” with a wider beam for illuminating your video and photographic scenes. Underwater photography can look very washed out and blueish without added light, and the Flame Angel’s bright LED can make images appear more natural, as shown in some of the examples on their Kickstarter page. 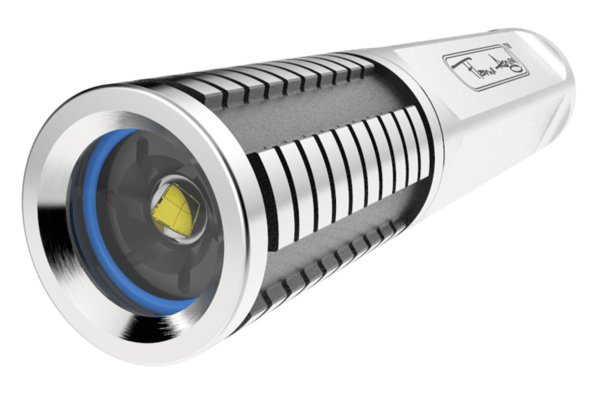 The torch is made from alloys of aluminium, magnesium and austenite and has a stylised design, which the company hopes will make it stand out from other plastic lights on the market. 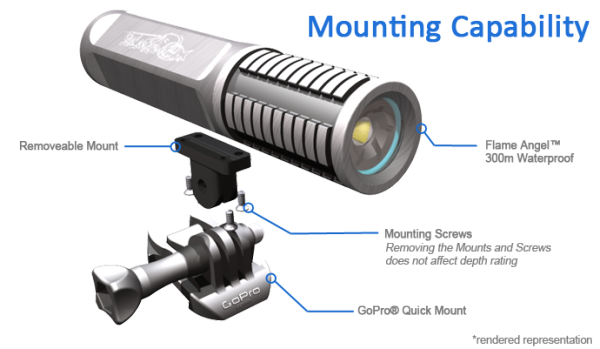 Crucially, the Flame Angel will attach to GoPro-style mounts, allowing you to use it with existing accessories such as bicycle/helmet mounts, suction cups and so on. Backers can get the Flame Angel for a pledge of $219, rising to $400 for various limited editions and different metal versions. Visit the Kickstarter campaign page for more information.